Ask The Newsroom: How Are Early Voting And Mail-in Ballots Handled? In the past, Ann Quackenbush would wake up early on election day to get to her polling place. The elementary school teacher in Champaign says it was often hard to make time to vote during a busy school day. For the primary last March, she tried something different – mailing in her ballot before election day. “It is just incredibly convenient,” said Quackenbush, who has already requested a mail-in ballot for the mid-terms in November. Quackenbush posted to social media encouraging friends to do the same. But she still had questions – what happens once those envelopes arrive to local election offices? And how do officials process ballots that are cast early? 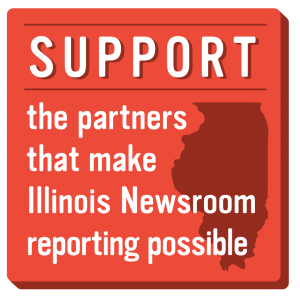 She submitted the questions to Illinois Newsroom through our “Ask the Newsroom” project, and we looked into it (Quackenbush is also a member of the Champaign County Democrats’ Voter Protection Committee). Illinois is one of 37 states that allow in-person early voting, and one of 27 that allow any voter to request a ballot by mail, according to the National Conference of State Legislators. Mail-in ballots go to the local election authorities, in most places the county clerk. The clerk must publicize in advance the days and times they will process the ballots they get in the mail. But processing isn’t counting — and the difference is important, says Sangamon County Clerk Don Gray. Processing is opening the envelope and verifying the signature on the ballot with the voter rolls, a job carried out by election judges or trained election authority staff. Before ballot processing, the local political parties are notified so they can send election judges. The public as well as poll-watchers are allowed to observe the process. The ballots are then fed into tabulator machines that count the votes. But election officials are not allowed to release voting results or add them to the vote totals until after the polls close at 7 p.m. on election day. Controversy over the process erupted in 2014 when Rock Island County Republicans sued the Democratic county clerk for processing ballots early. Attorney General Lisa Madigan issued an opinion that ballots should not be opened or counted until after 7 p.m. on election day. At the time, election officials in more populated counties worried this could delay results. In 2015, lawmakers added clarification to election rules, explicitly allowing election authorities to process the ballots early but requiring officials to wait until the polls close to add the votes to the results. Lawmakers also added requirements to publish the dates and times election officials process the ballots on their websites. For voters who cast ballots early at polling places, elections officials follow the same rules for early voting as on election day. Election judges, including trained election staff, must verify voters’ signatures and administer ballots. Like mail-in ballots, those ballots are fed into tabulator machines, but the results are not released and included in vote totals until after the polls close on election day. Election authorities across the state will start sending ballots to voters on September 27, the same day select polling places open for early voting. Voting before election day has grown in popularity. In 2016, nearly a third of voters cast their ballot early, according to data from the Illinois State Board of Elections. Gray, the Sangamon County Clerk, says voters who mail their ballots or vote early often do the same the following election. Specifically, early voting could reduce lines at polling places on Nov. 6. Illinois law requires each election authority to have a minimum number of hours open for early voting. Though many counties, like Sangamon and Champaign, have expanded on those hours, making early voting more accessible. Early voting in the March primary was most popular in Champaign County, home to the University of Illinois at Urbana-Champaign. 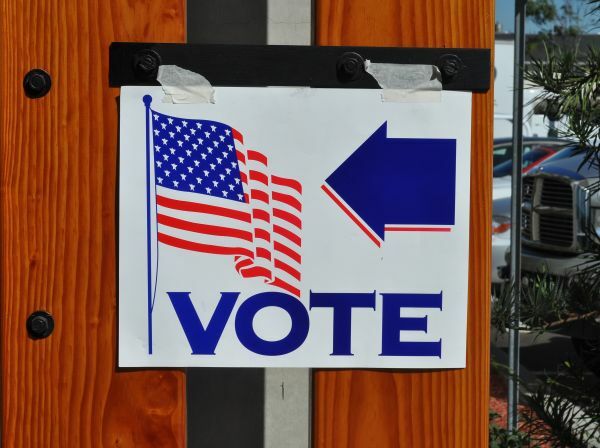 More than 40 percent of voters cast ballots early at one of nine polling places or by mail, according to a study by the Illinois Campaign for Political Reform. The study found that more populous counties, like Cook and Champaign, had higher shares of early voting than the state average of 22 percent. If you have a question about the mid-term elections or voting, Ask The Newsroom. You submit your questions through the form on this page. Next post: Who Benefits From Video Court?